Do you feel God is just too far way? Do you know God but it's not a relationship, or is the idea of God a long way off your radar? Maybe you know someone who knows God, they seem to live and breathe their relationship with him and you just don't understand where they are coming from. It's okay for them but it's really not for you. Since the fall we have all lived in separation from God, there is a constant feeling of something missing, a life not quite adding up. No matter who you are or where you are in life, there is a dividing wall between you and God. Jesus died on the cross for you, why do you look to others to see what their faith looks like? Jesus died on the cross because God wanted to draw close to you, he died to reconcile you to God. To reconcile means to restore the relationship. It's not something new and weird but a restoration of a relationship that was always meant to be, restoring what is missing. Jesus did not die to bring you into a religion, he did not die so that you could follow a set of rules and cramp your lifestyle. Jesus died to bring you peace, to bring you in from the outside, so that you would always feel included. You belong as a part of God's household, there is a promise of harmony as you move not into God's household but as he moves into you. 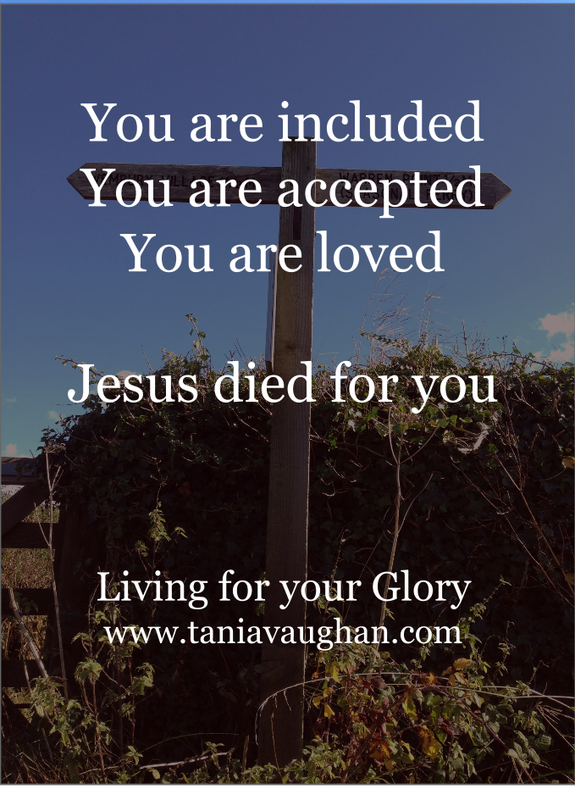 You are so special, so included and so accepted, that God moves his Holy Spirit to live within you so that you would know his nearness at all times, so that you would feel his love always and that you would be made fully alive. That's the God I know and live for and it's the God who calls to you. We just finished going through Ephesians at church. Thank you for sharing this truth. If more people understood their worth in Christ, the world would be a better place. Blessings to you and yours.